This tasty super-easy and economical pie recipe served with mounds of mash and peas and rosemary gravy will quickly become your favourite. Mouth watering! Dice the onion and add it to the pan, cook for 2-3 minutes, stir in the tomato purée and cook for 2-3 more minutes, then stir in the flour and cook for a further minute. Chop the mushrooms and add them to the pan, also add the stout (of beef stock) and a couple of dashes of Worcestershire sauce. Bring to the boil, then reduce the heat, cover the pan with a lid and leave to simmer for 20 minutes. 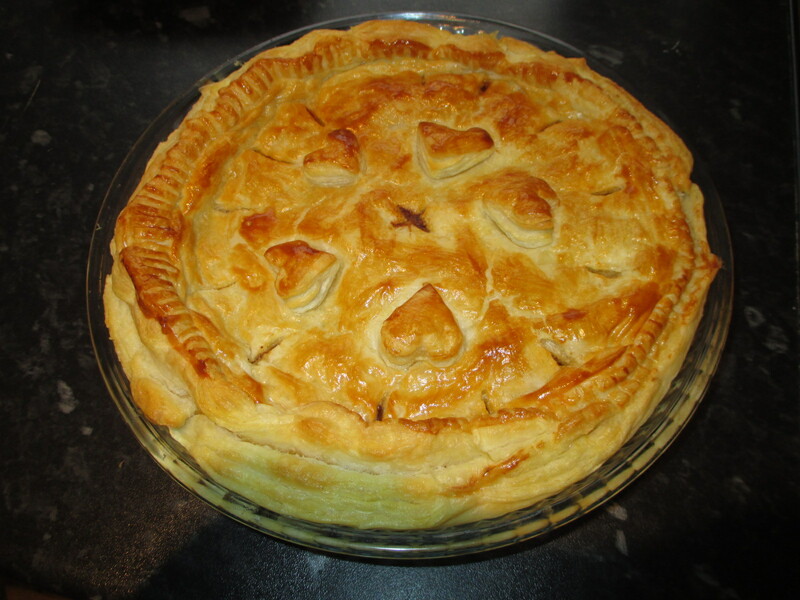 Option #1: just turn the meat mixture into a one litre pie dish and gently drape the pastry over the dish. Option #2: (you will need 2 rolls of shortcrust pasty for this option) Line the pie dish with one roll of pastry, pour the meat mixture in the dish and then cover over the mixture with another roll of pastry. Press firmly onto the edges, trim them and then shape the edges into a fluted shape. Slice pie into wedges and serve with loads of marsh potato, peas and rosemary gravy. Delicious! 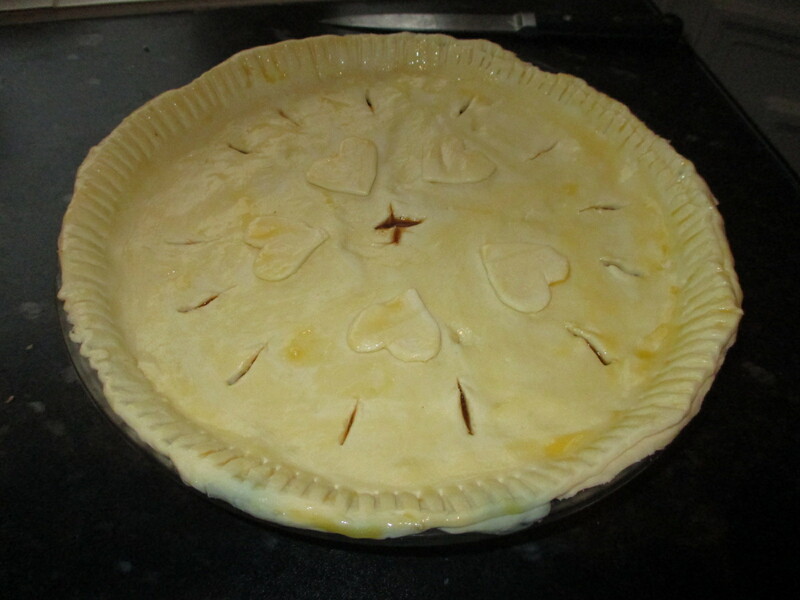 *We used puff pasty for the pie on this picture -hence the “puffiness” but it turned out as tasty!